quarter acre of land which made up part of our rear garden for which we paid an annual rent of 3s 9d (value about £5 today). It was a well-made structure with walls in excess of 2 feet thick at the base. Inside the tower, were concrete mounts on which the pump once stood. The water was pumped to the tower from Black Pit Well. There were two concrete floors each accessible by steel wall mounted ladders. On the top floor was a door which had a small balcony and, with the door open, you could see over to Rampton. On the inside of the door and the surrounding walls were scribblings including the names of locals who had served in the Willingham Home Guard. Presumably, the tower was used as a look-out post. 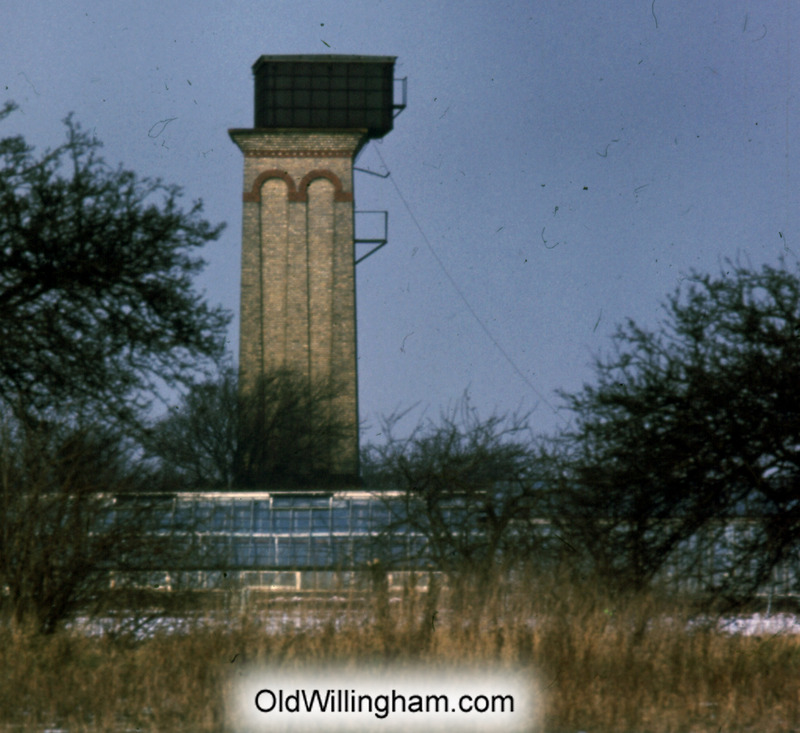 We think the tower was demolished between 1970-1972 and was taken down by a farmer from Bluntisham who built a bungalow with the bricks. He was there every morning, very early no matter what the weather. Removing the bricks using hand tools and bottle jacks. Removing the tank was a real problem but with the aid of a wire rope around the tank and attached to a tractor, it was toppled. The cast iron tank was about 3/8″ thick (10mm) and on impact with the ground, shattered far and wide. It was thankfully all cleared up. This month’s picture shows the moment before the tank fell to the ground.